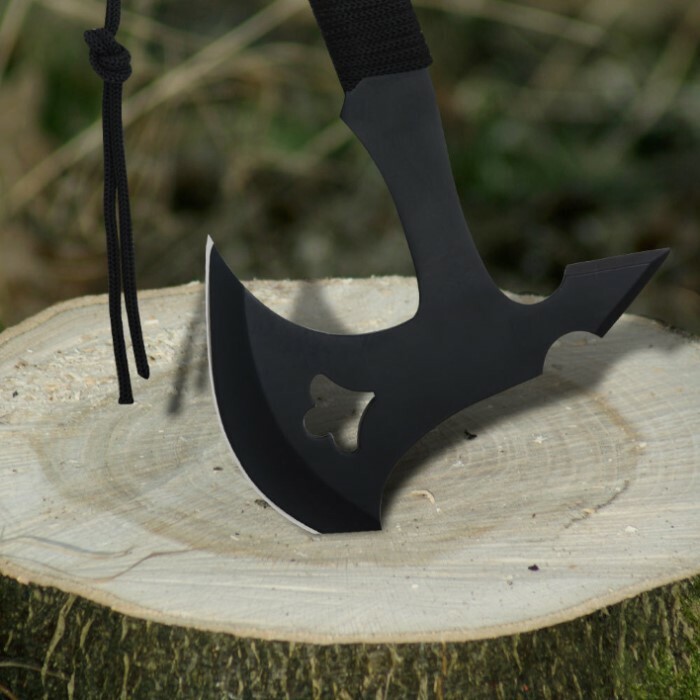 With solid stainless steel construction and finished in black, this throwing axe is ready to go the distance. The black cord wrapped handle ensures a tight, slip-free grip, and the blade offers both a cutting edge and a back spike. Measures 11 in. overall and includes a nylon sheath. I have purchase many of these for resale. I have had 5 returned broken after only a couple throws. The handle's have snapped in half. The tip was broken on others. The metal is not suited for a throwing axe and is brittle. 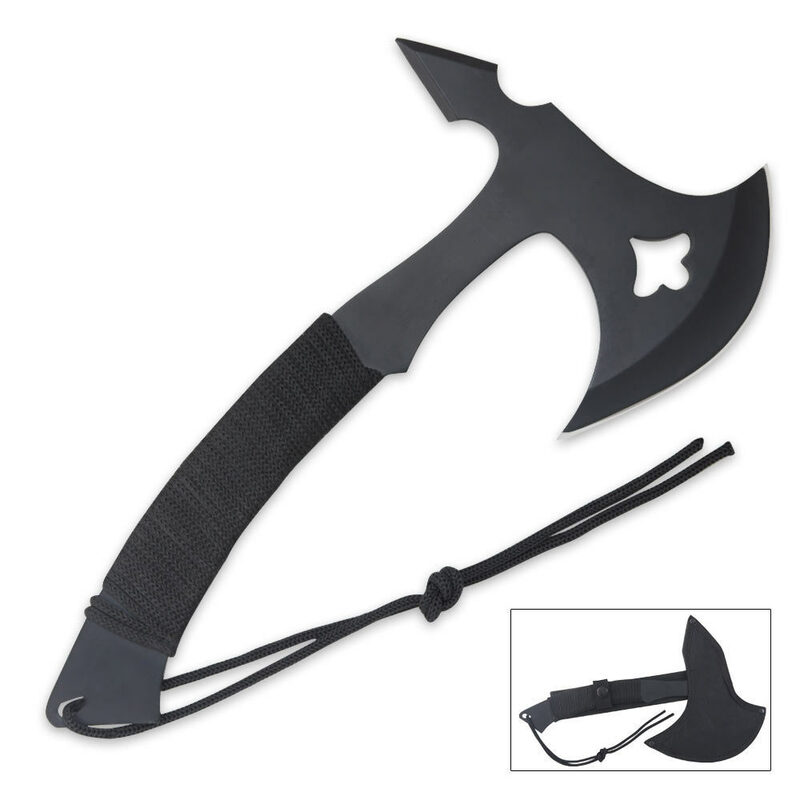 This would be an ok axe for light duty tinder cutting or as a costume or display axe. I do not recommend it for a throwing axe. The first thing i did was remove the cord wrap its pretty well useless. I threw it a good 30 times and it stuck 24 or so not half bad for ten dollars. I got this tomahawk after waiting 13 days(way to long) but after I received I decided to go throw it in the back yard. The spike broke off after only ten minutes of throwing it. Then after only 30 mins of receiving this product it broke. If you want a good tomahawk you'll have to pay a little more than just ten bucks. Mine arrived with two shallow curved "cracks?" on either side of the spike. I first thought they might be paint lines, but since they're in exactly the same place on both sides, so I don't think so. I have a feeling if I use the spike, it will break off. Since I'm otherwise happy with the design and price, I'm ordering another one just to see if this is a manufacturing defect. Just beware.